London Project / Traces on The Curated Fridge! One of my favourite images from London Project / Traces has been selected for the December 2016/January 2017 exhibition by The Curated Fridge. The Curated Fridge is the brainchild of Yorgos Efthymiadis, a unique project with the aim of celebrating fine art photography and connecting photographers from around the world. 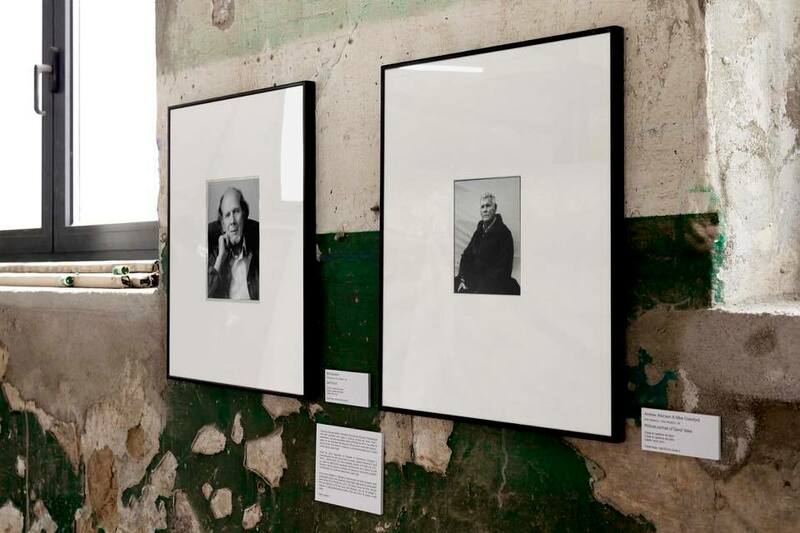 This exhibition was guest curated by Elin Spring – founder, editor and head writer of the photography blog “What Will You Remember?”, featuring exhibit reviews, curator and artist interviews, book reviews and commentary. Here’s a photograph of The Curated Fridge in its entirety – my photograph is on the bottom door. You can see all of the photographer’s work on their website, facebook page, and on their instagram feed. My photograph is from a sketch-series of images exploring the light, shadows, and layers of reflections that appear momentarily in my everyday environment, documenting the juxtaposition of plants and trees – cultivated and wild – with built structures. To find out more about The Curated Fridge take a look at this interesting article on Lenscratch. Thank you Yorgos and Elin for including my work in this show! 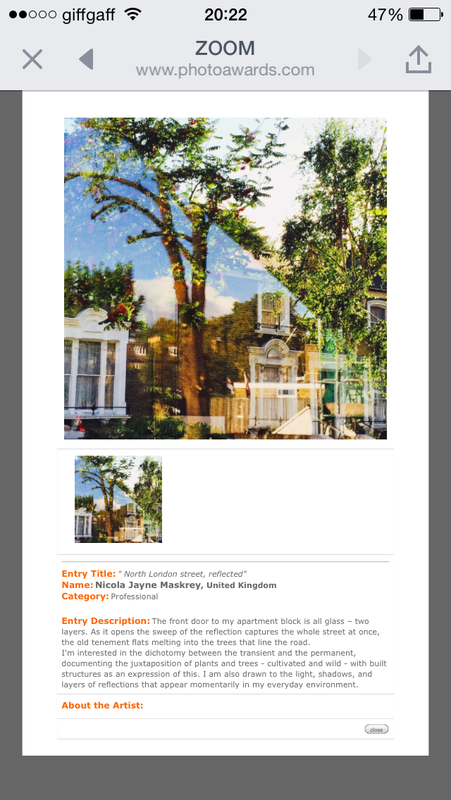 London Project / Traces in fLIP 31 – out now! Issue 31 of fLIP magazine – for London Independent Photography – is out now! This edition has the overarching theme ‘Neighbouhood’ and includes an exploration of the different geographical areas and communities in London. Offering an independent voice for photographic practice in London, and costing a very reasonable £4.00, fLIP is published 3 times per year to engage readers in a wider dialogue concerning diverse approaches to photography. Honourable Mention in 2015 IPA One Shot! 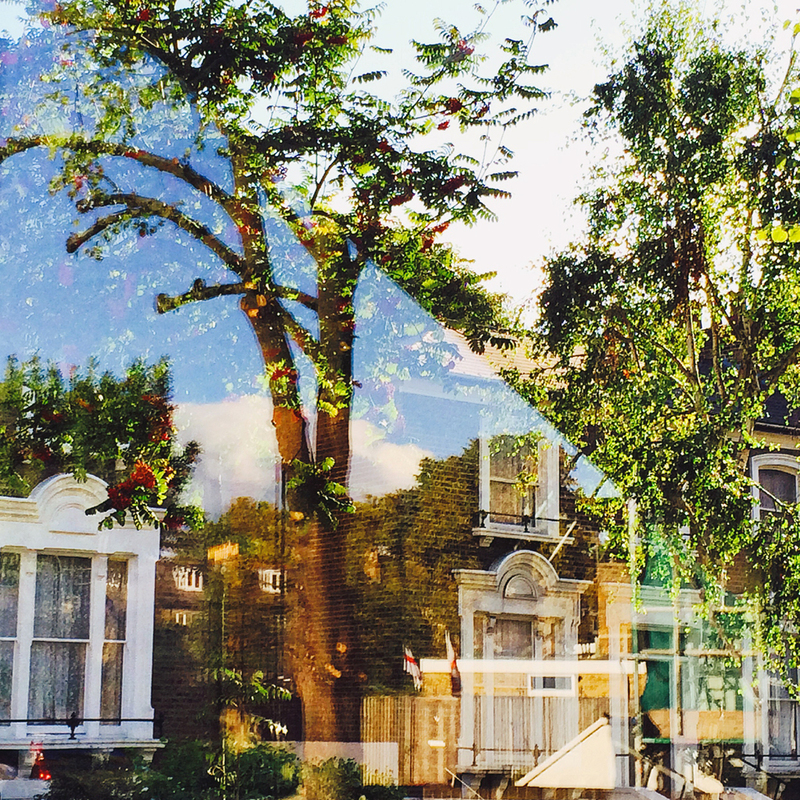 My photograph ‘North London street, reflected’ has been awarded an Honourable Mention in the 2015 IPA One Shot Competition! The International Photography Awards conducts an annual competition for professional, non-professional, and student photographers on a global scale, creating one of the most ambitious and comprehensive competitions in the photography world today. And here are the IPA One Shot Winners – Congratulations to them! Here’s a screenshot of my work in the Place section of the Honourable Mentions list – also including Lucian Parvulescu and Mitja Kobal – I love the richness of both their photographs. The International Photography Awards is a sister-effort of the Lucie Foundation, a non-profit, charitable foundation whose mission is to honor master photographers, discover and cultivate emerging talent and promote the appreciation of photography worldwide. The annual programming of Lucie Foundation is funded largely though the International Photography Awards, including the signature event, the Lucie Awards. 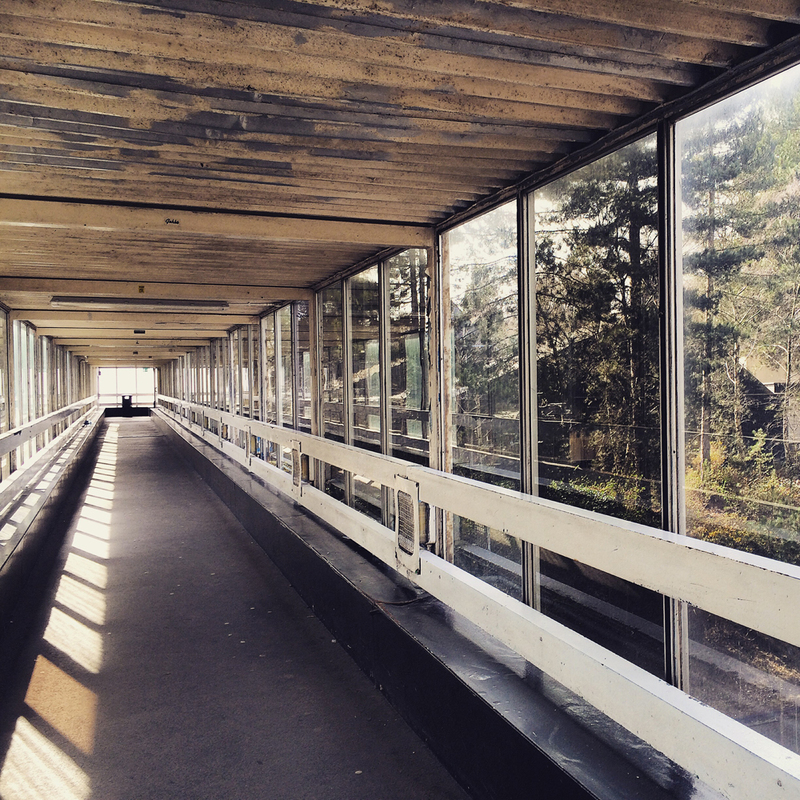 This photograph of the Fleet M3 service station bridge is in the latest online group exhibition by LENSCRATCH: 2015 Cell Phone exhibtion. There was such beautiful light that day. I love the juxtaposition of the trees and layers of reflections with the structure of the bridge and its fading corrugated roof. 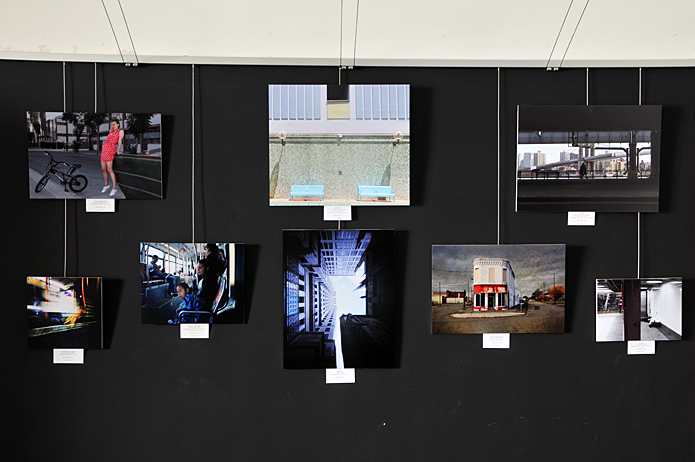 There’s a really eclectic range of photographs in the exhibition, taken with mobile phone cameras all over the world. It’s well worth a look. Considered one of the ten photography blogs you should read, LENSCRATCH is a daily journal that explores contemporary photography. Since its inception in 2007, LENSCRATCH has featured the work of thousands of photographers, has provided a platform to launch numerous portfolios, and has been a media partner to numerous photography festivals. 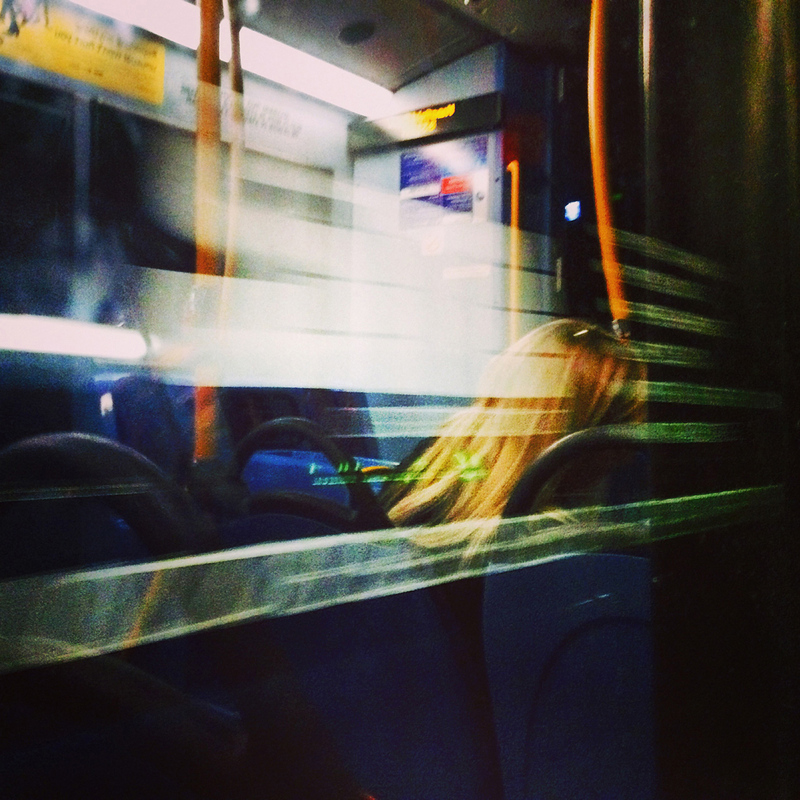 ‘No46 Bus (night), London’ has been awarded an honourable mention in the new group exhibition by PH21 Gallery – City. 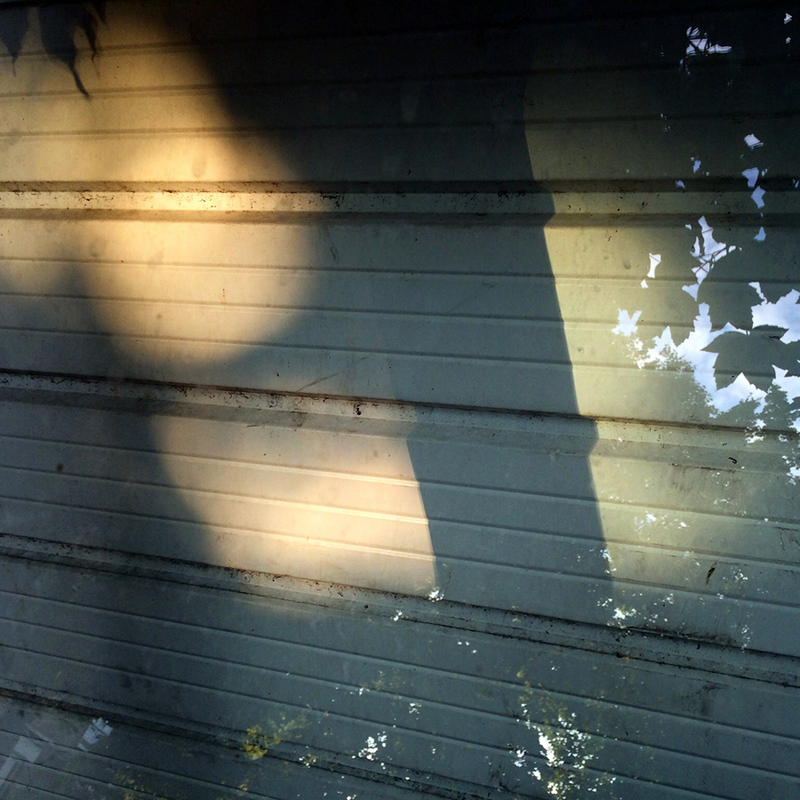 This juried international photography exhibition explores how urban spaces provide intensified experiences, how we shape our environment and how we live in the environment we create for ourselves. This image is a recent addition to my very long work in progress – London Project/Traces – you can see more images from this series as well as other work on my instagram page. 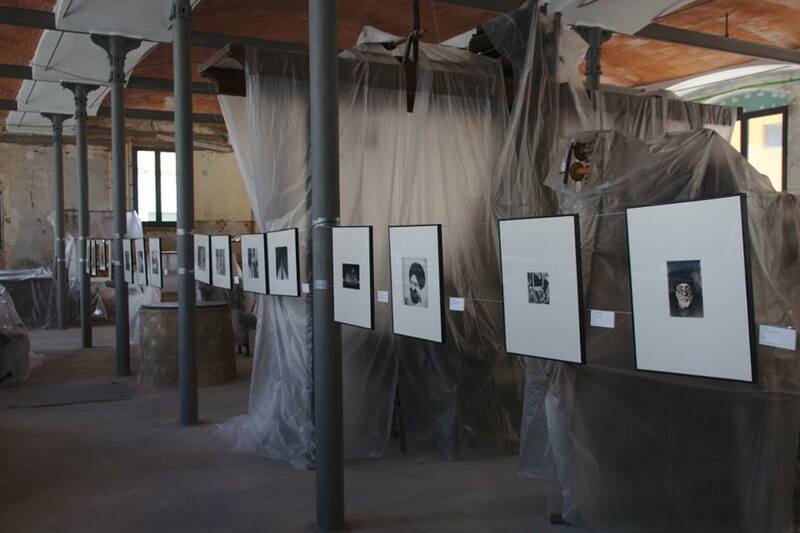 Here’s also a photograph of the installed exhibition – looking very sharp!